Here's a mini sneak peak of what we saw last night. If you are interested in attending any of their screenings please check Be Film for dates and times. Tickets to each screening are $10 and the Festival goes all week long. Avid 101/110 Course still open for May 25th! If you are interested please register at www.mewshop.com or call us at 212-414-9570. Here's a News Media Montage created by our own Jason Banke for Ryan Bowen's "Biking For Obama." Mewshop’s Certification Sunday is a half-day review and exam session for Final Cut Pro users who wish to be recognized by Apple and the industry as Apple-Certified Pros. Pass the Level-One Certification Exam and differentiate yourself to employers and colleagues as a highly skilled FCP user, receive a certificate from Apple distinguishing you as an Apple-Certified Pro, and have the right to use the Apple-Certified Pro logo on your own promotional materials. Certification Sunday is presented in conjunction with EditFest NY - unique educational and networking event that brings the most sought-after editors straight from the cutting room directly to the audience. 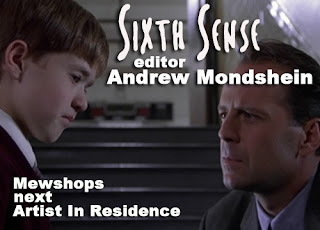 Presented on June 12th - June 13th by American Cinema Editors (ACE) and Manhattan Edit Workshop (Mewshop), EditFest NY will deliver vital insight into the role and process of the editor as a critical part of any creative team. This session is designed for Final Cut Pro users who wish to take the Apple Certified Final Cut Pro Level 1 End User Exam independent of a longer course. The course cost is $249. FCP 101, FCP 100 or FCP 200. Experienced Final Cut Pro users who have worked with all aspects of Final Cut Pro are also eligible to take the exam. We will be hearing from additional special guests as well. Former six-week instructor Thomas Dexter will be examining sequences from a documentary he's editing about south african folk singer Syd Kitchen. And "Heart of Stone" editor Anand Kamalakar and director Beth Toni Kruvant will be in attendance. "Heart of Stone" won the Audience Award at the Slamdance Film Festival, Philadelphia Film Festival and Best Documentary Feature at Cinequest Film Festival. We know you wanted this class and now it's here. Make that good story great only at MEWShop. We are a sponsor with this independent film event. Check out Be Film for more details if you are interested! We think you will all love this! Art of Documentary- It's coming! Heart of Stone: An 85-minute documentary by Beth Toni Kruvant, 2008. This film documents the challenges of an inner city high school and the workings of its devoted principal, ambitious Jewish and African American alumni, students, and even gang members to restore the school’s safety and past glory. In 2001, Weequahic High School’s new principal Ron Stone created an unconventional conflict resolution program inspiring gang members to graduate and pursue college. Stone, who watched students engage in a mass brawl upon his arrival to the school, was able to forge a truce with the gangs and establish the school as a “non-violence” zone. Stone partners with the alumni to raise funds for college scholarships and other school activities. At Weequahic High School, where Philip Roth immortalized his Newark, NJ as a turn of the century Camelot, we see an unusual tale where past meets present and adolescents strive to overcome adversity. Look for more info in May.... We are Excited! EditFest NY premieres in Manhattan on June 12th, 2009 - an exciting, unique educational and networking event that brings the most sought after editors straight from the cutting room directly to the audience. Presented by American Cinema Editors (ACE) and Manhattan Edit Workshop (Mewshop), EditFest NY will deliver vital insight into the role and process of the editor as a critical part of any creative team. Over two tightly-programmed days, attendees - including professional editors, production executives, network and studio staff, fledgling assistants and content creators - will participate in sharply planned, targeted panels and extensive Q&A sessions. They’ll listen to, learn from and engage with the most respected, award winning editors of feature films and television. Attendees, VIPs, sponsors and panelists will also mingle at the highly anticipated opening night reception. Oscar winners. Oscar nominees. Emmy nominees. Emmy winners. Comedy Editors. Box Office mega-hit editors. Dramatic editors. Action editors. They’ll all be at EditFest NY - interacting with an audience of working professionals, motivated students and rising stars who have embraced EditFest NY as a key learning opportunity. Click here to see EditFest NY Panelists and Participants. ACE is an honorary society of motion picture editors founded in 1950 which votes editors into membership on the basis of their professional achievements, their dedication to the education of others and their commitment to the craft of editing. 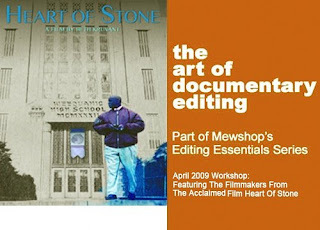 Manhattan Edit Workshop (Mewshop) is an Apple and Avid authorized training facility, dedicated to providing the most up to date education and information for today’s working post production professional.